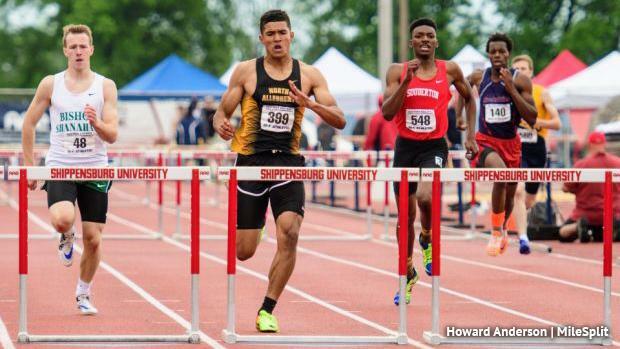 Fresh off a record-setting performance during the indoor season, Ayden Owens of North Allegheny is prepped and ready for a big final outdoor season. He'll be going for his third straight AAA state crown in the 300-meter hurdles. Owens went 37.47 last spring for the win. He's the top returner in the event this season. His best competition may come from Miles Green of Saint Joseph's Prep. Green usually focuses on the 400 meters outdoors (the 300mH/400m double at the state meet is very difficult), but we can still expect Green to put down some fast times in the event this season. A matchup at the Penn Relays could be on the horizon and that would be very interesting. Keep an eye on Eric Futch's state records (36.43 in the 300mH and 50.73 in the 400mH). Those will be tough to bring down, but like Futch, Owens and Green are extraordinary talents. Wilson's Alex Cluff is another strong returner. He took fourth in AAA at states. He ran a best of 38.44 last season. Penn Manor's Taraje Whitfield is also talented. He is coming off a solid indoor season in the high hurdles and will look to build off his seventh place finish from states last season. 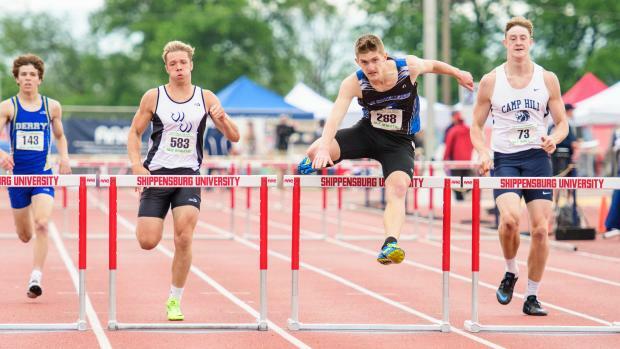 Spring Ford's Stephen Chapman and Hatboro-Horsham's Matthew Lenahan are a pair of District 1 hurdlers to watch for this spring. Chapman was eighth at states last season. In the PAISAA, Kyle Garland of Germantown Academy is the top returner. He went 38.85 last season. His talents spread across the entire track and field, so we'll see how hard he decides to go after the intermediates. Haverford School's Sam Lindner is another talented returner, though he didn't compete this winter indoors. In AA, the state champ from last year, Josh Booth of McConnellsburg, is back. Booth went 39.11 to win last season and will be looking to improve on that this season. Camp Hill's Zack Kuntz (fourth in 2017) and Derry Area's Shawn Broadway (sixth in 2017) are the other returning medalists. Calvin Wetzel of Riverside is another talented returner that should mix it up with the favorites this season.